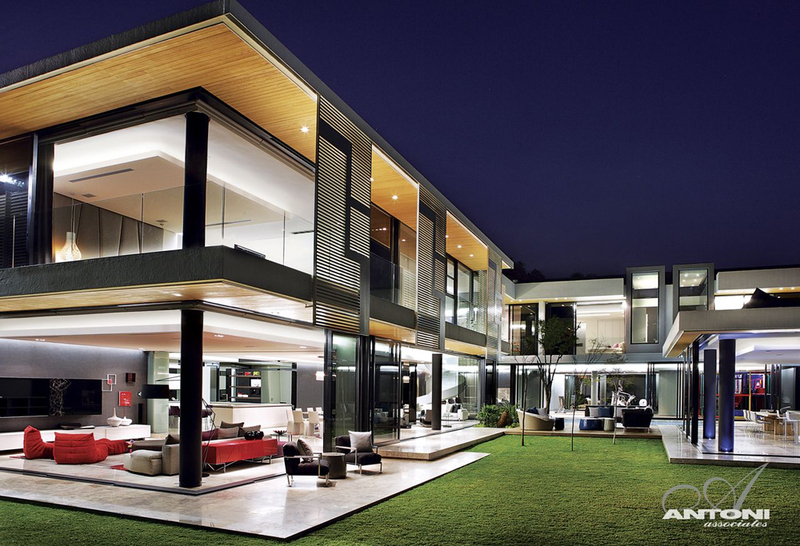 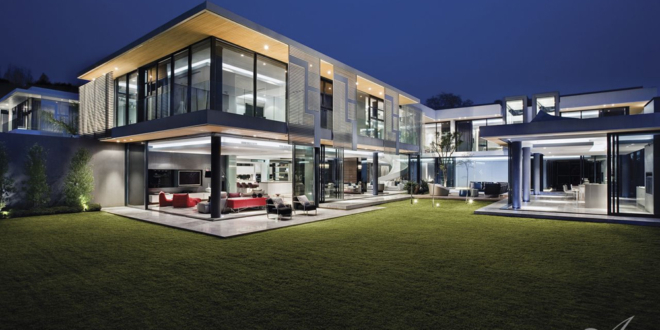 SAOTA Architects in collaboration with Antoni Assocoiates designed this incredible modern mansion – 6th 1448 Houghton, with large green grassy backyard, located in Houghton Estate, one of the wealthiest suburbs of Johannesburg in South Africa. 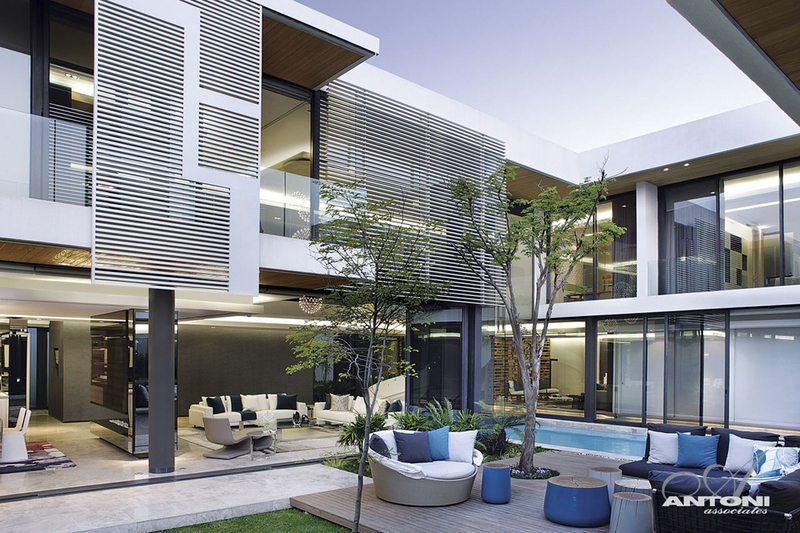 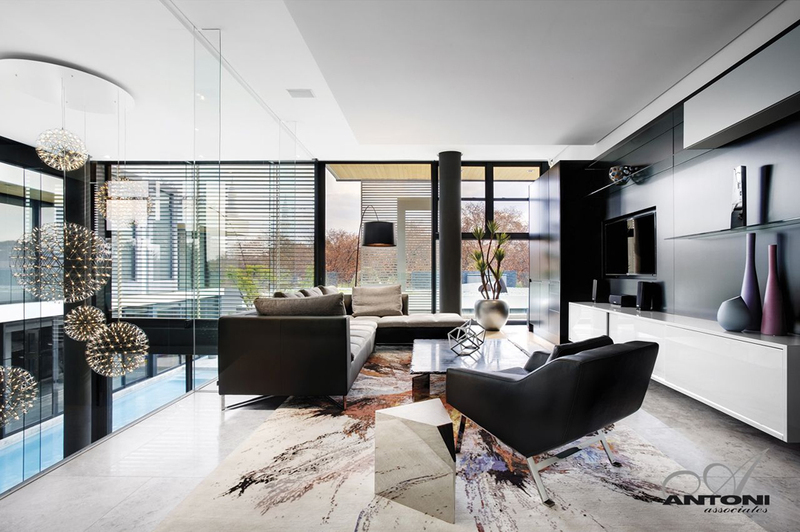 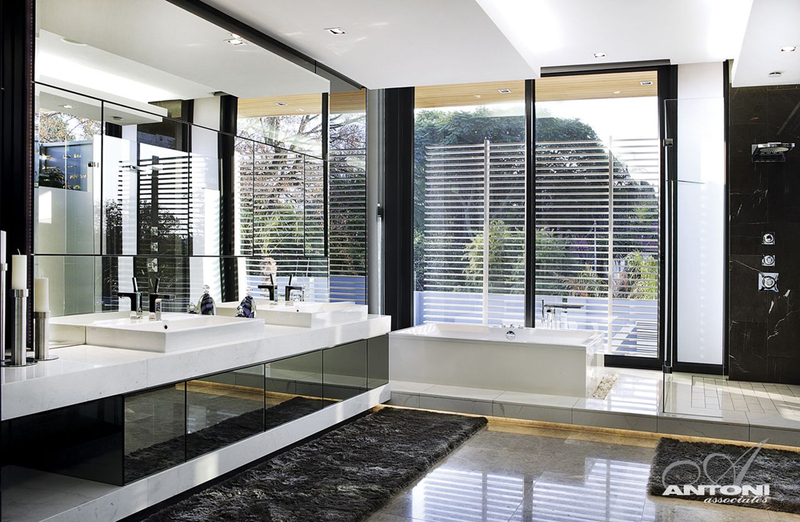 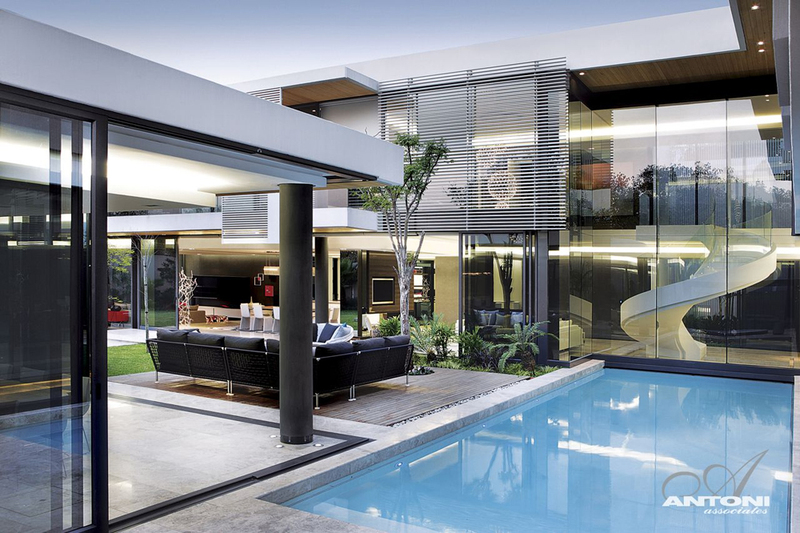 The assignment was to design a house for a family of many members in Houghton, Johannesburg. 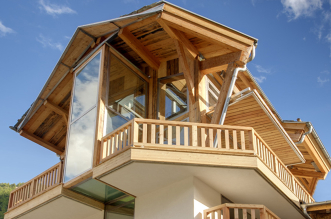 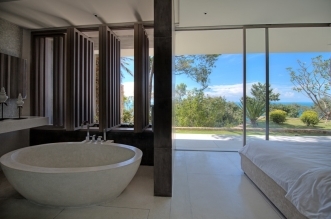 The land is on a gentle slope, surrounded by trees, with stunning views from the upper floors. 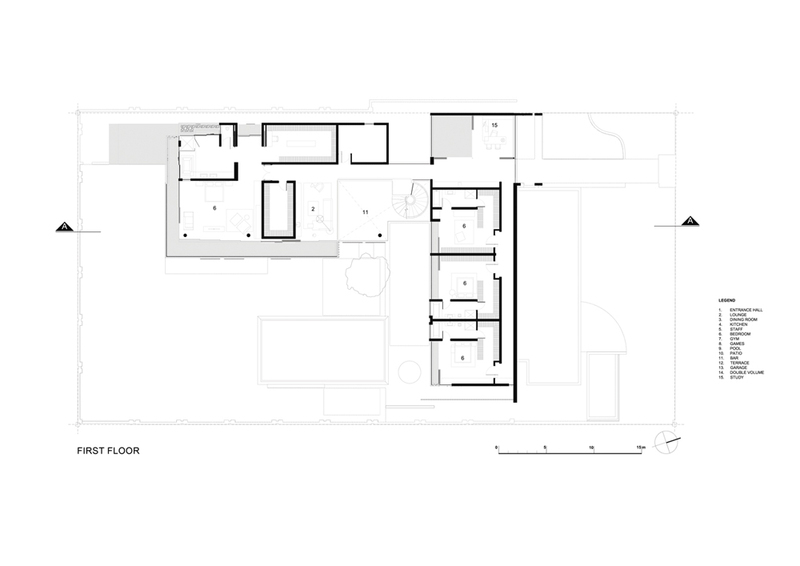 The site is divided into two separate areas, organized around a common access. 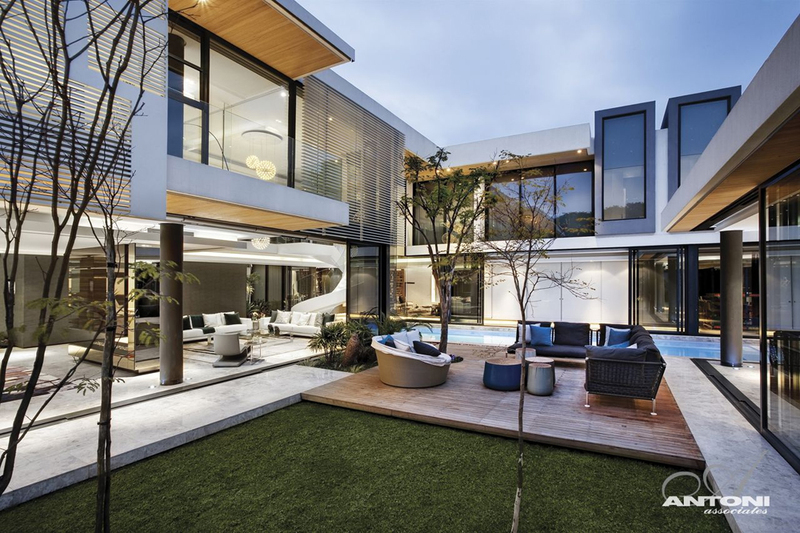 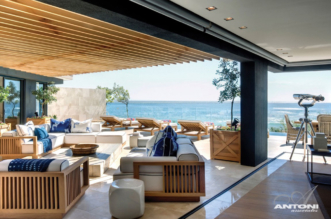 The architects from SAOTA said: “The houses have a U-shaped configuration organised around an internal courtyard and allows access to all of the living spaces and the swimming pool. 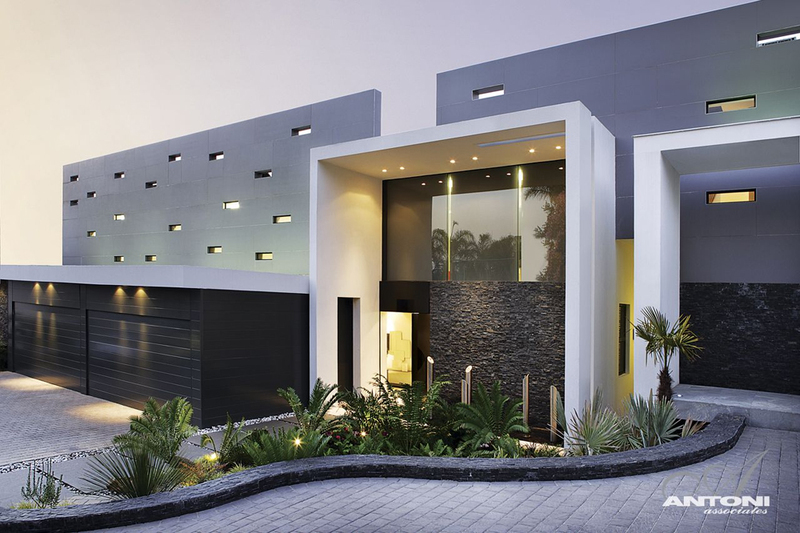 A perforated wall separates the public forecourt from the private spaces”. 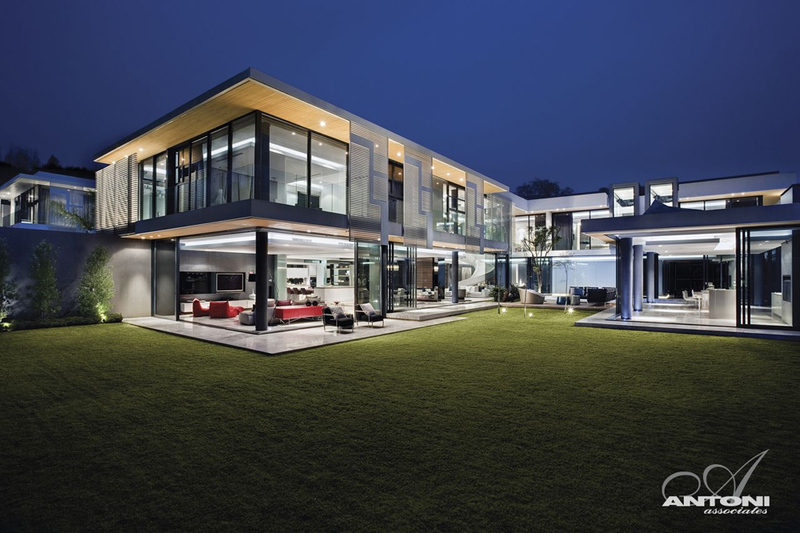 Inspiring a sensation of breathtaking architectural achievement, the residence is the personification of incomparable luxury design with the creative flare and vestiges of modern contemporary living. 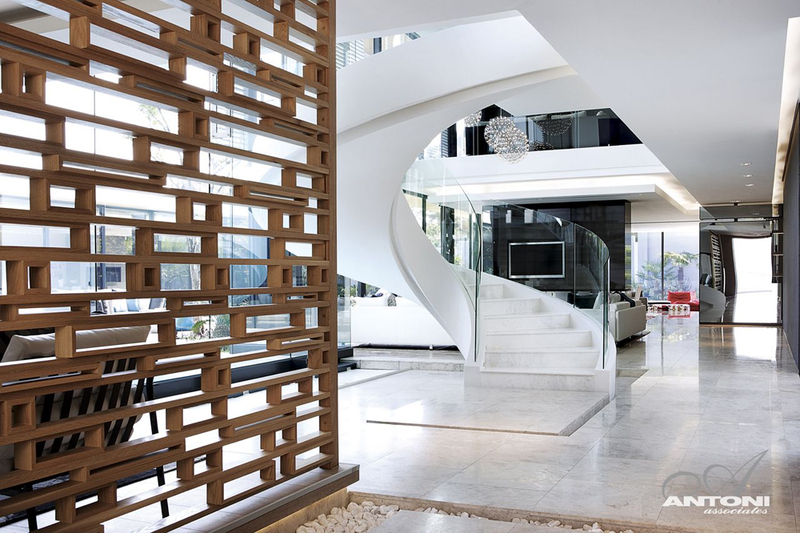 Internally the spaces pivot around a central volume with a ribbon like spiral stair. 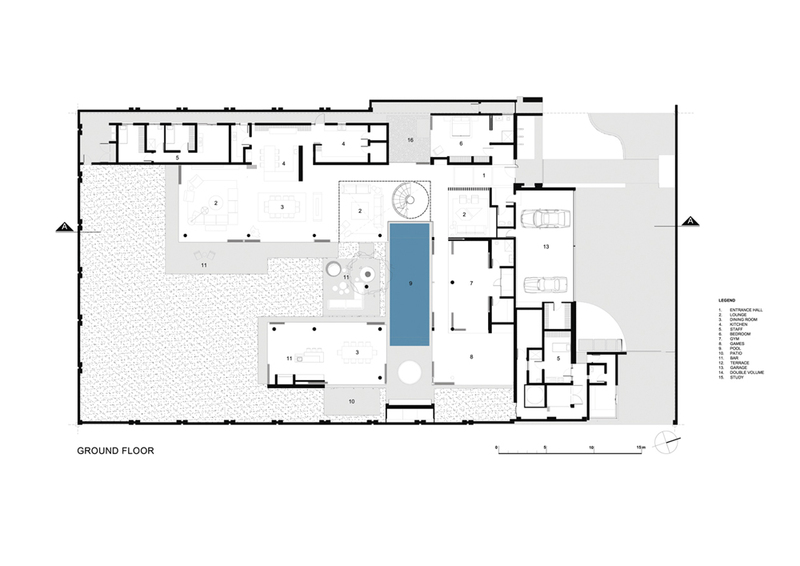 The living spaces, kitchen and private garden are to the north, while the games room, pool and gym are to the west. 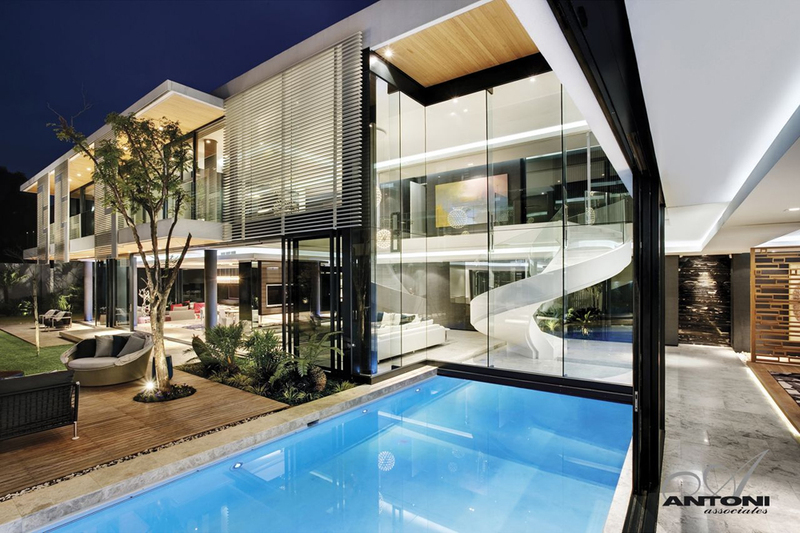 This stunning luxury residence features floor-to-ceiling windows overlooking the pool courtyard with large shutters that when opens make the separation between indoor/outdoor living completely disappear. 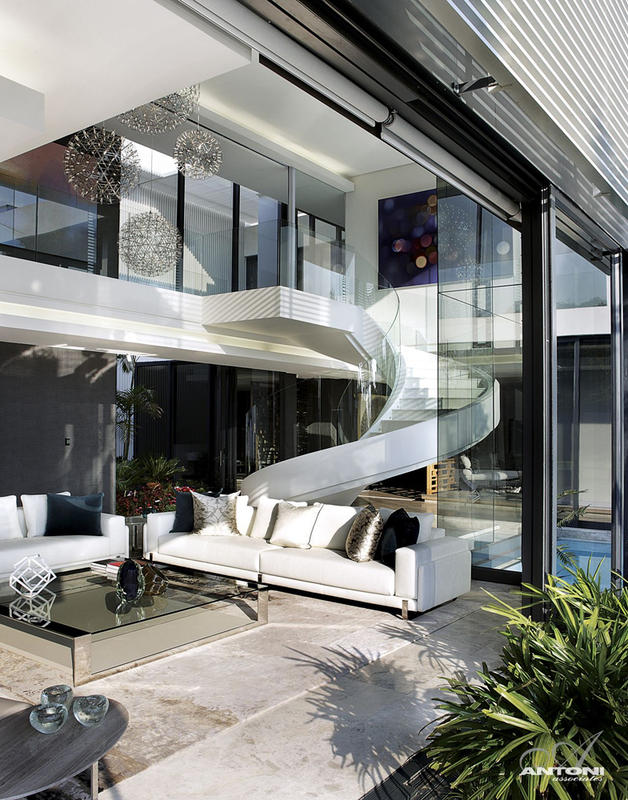 The bedrooms and study are on the upper level. 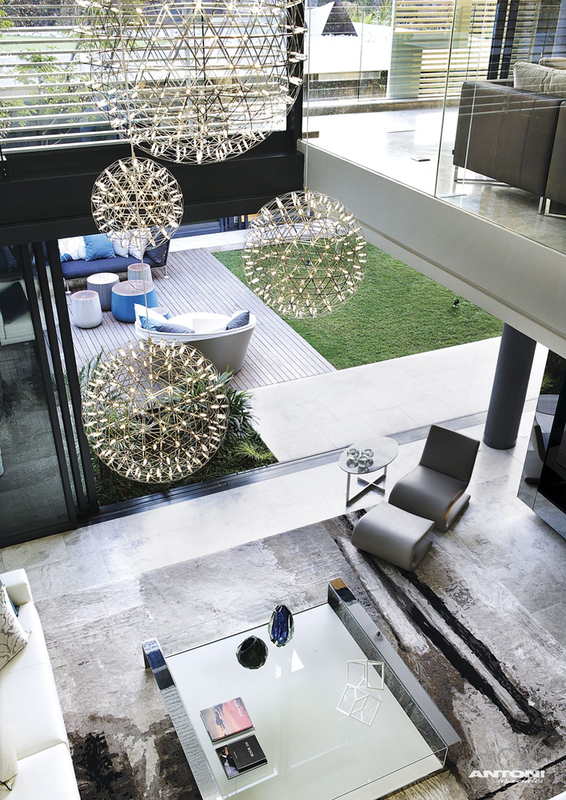 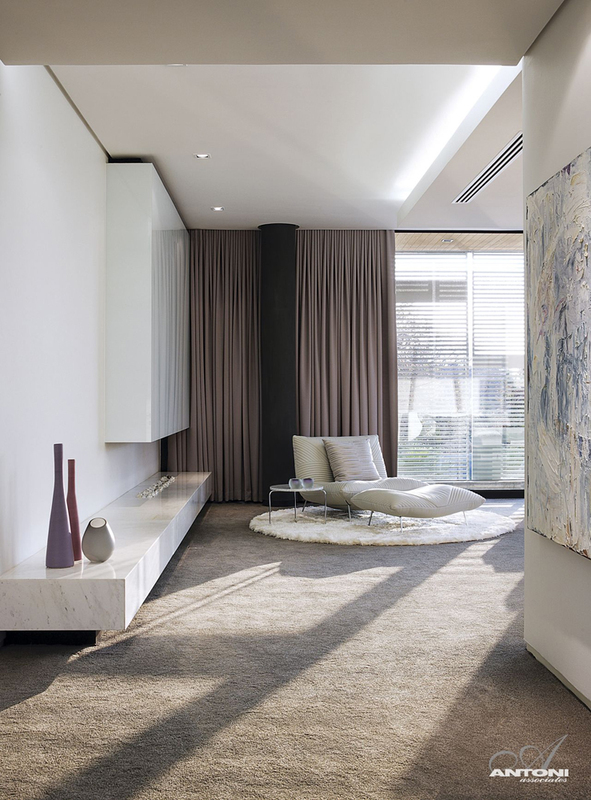 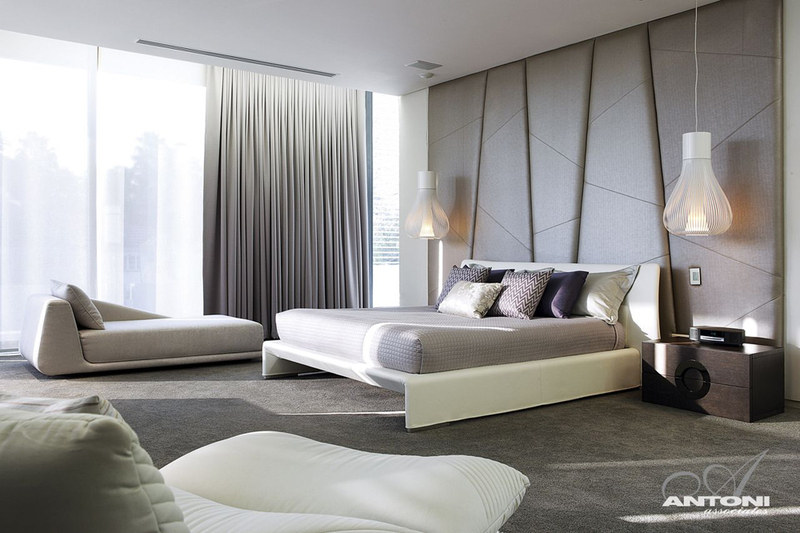 ANTONI ASSOCIATES were appointed to create a contemporary interior which needed to reflect their family lifestyle. 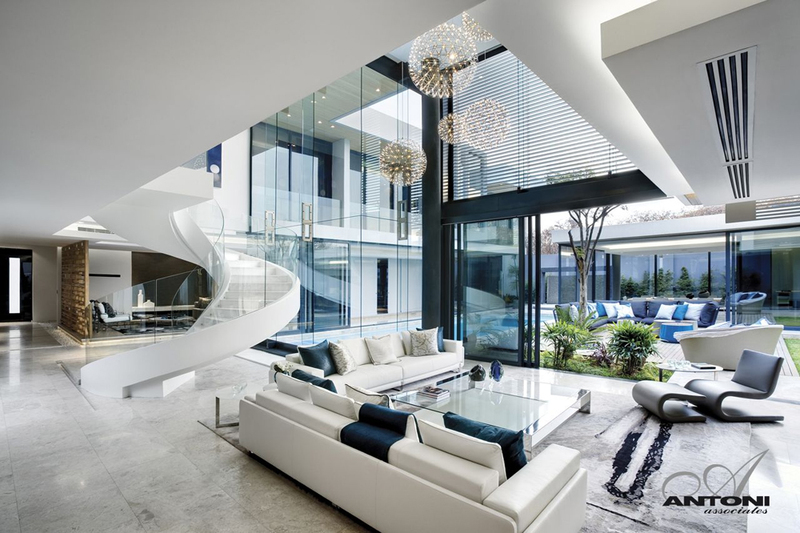 The décor and furniture are modern and have strong lines. 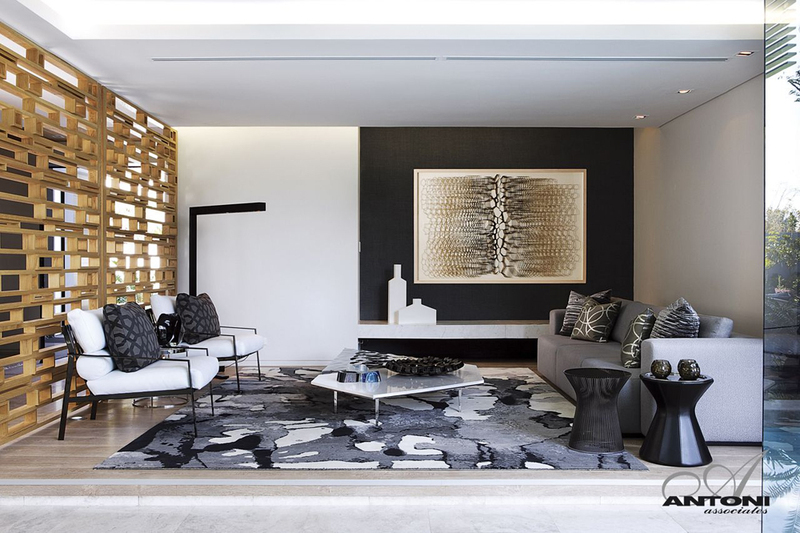 A number of bespoke furniture pieces were designed by OKHA Interiors, using a neutral color palettes and artworks by South African artists.